Love your job. Have a nice home. Stay in shape. Eat organic. Get enough sleep. Take time for yourself, but be there for your family and friends. The pressure to have it all is greater now than ever. Meanwhile, you see your friends posting their latest amazing vacation or new relationship on social media. Is everyone else really that happy and content?! It’s no wonder so many of us feel like we’re coming up short. Alex, a smart, driven professional, has those thoughts as well. Then he meets Jim, a guy who seems to have it all together. For Alex, this unlikely friendship is life changing. Read Alex’s story, and see if you can relate to any of his obstacles. Stick with him as he clears a path to the life he wants to live. Then, check out our guide to living the life you want to live, complete with starting points and quick tips. RESILIENCE: A WORD OFTEN USED BUT NOT UNDERSTOOD - An in-depth look at everything resilience with over 130 references and practical advise to be more resilient more often. Vendura Wellness is a proud strategic partner with leading companies in the health and wellness field. We offer a variety of health assessments and analytical tools that are designed to understand the health profile of a company. We offer consulting that will optimize your company’s health and wellness solutions. Some stress is good for us. Most of us require challenging goals and at least some degree of pressure to fulfill our potential. It is also normal for our stress levels to rise as we cope with situations that are meaningful to us, especially when we experience periods of uncertainty, setbacks, or long periods of pressure. Learn how to keep your battery charged for a quality of life. We offer a variety of additional health and wellness solutions for your company such as: health and wellness modules and/or supervised programming. 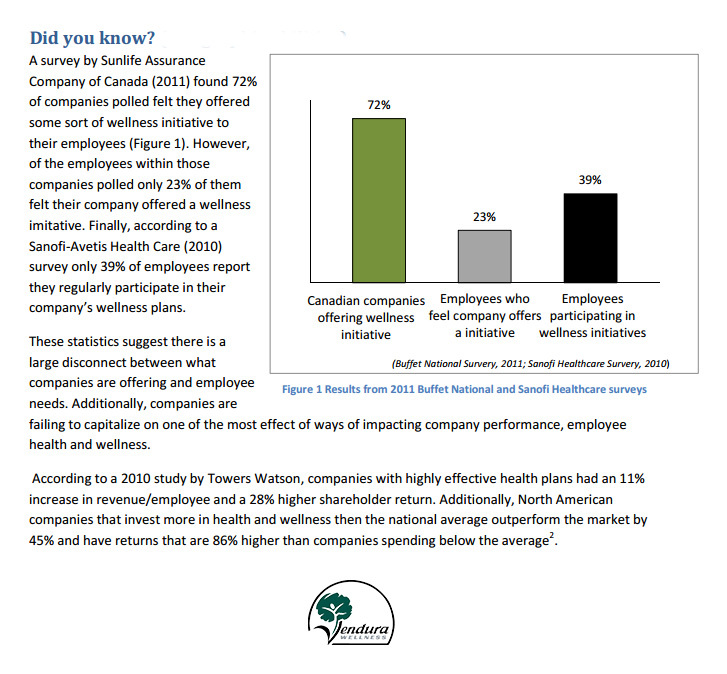 The Roots of Corporate Health & Wellness are the five primary indices that impact an employee’s and a company’s health and productivity. The Vendura Wellness roots are: 1. The Environment 2.Mental Health 3. Physical Health 4. Nutritional Behaviours 5. Substance Use Behaviours. The process Vendura Wellness put me through clarified my lifestyle goals and provided me with my personal game plan to achieve success. Their ongoing program gave me feedback and support which provided me the accountability I needed to achieve my goals. You are energized and you see progress and results! 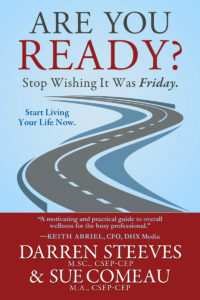 Darren’s systematic and multidimensional approach to assessing, preparing, monitoring, and developing resiliency in the individuals I work with, is a critical part of the journey for executive coaching or high performance team development. I’ve known Darren Steeves for over 30 years, he is committed to the health and wellness of his clients in a way that very few people could ever match! He is personally involved in your success and redefines the definition of a wellness mentor. Your success is his goal. Very impressed with the knowledge and level of qualified expertise that Vendura MDHT demonstrates. They provide a full-circle of corporate wellness solutions assessing corporate health, developing the necessary interventions and providing accurate statistical ROI calculations to measure productivity enhancements. If you would like to contact Vendura Wellness please fill out the form, email or call us and we will get back to you within two business days. Your Message Has Been Sent. Thank you for contacting Vendura Wellness - A member of our MDHT will return your message shortly. Attention, an error has occurred! See the marked fields above to fix the errors. If you want to learn more about total health and wellness, join our growing list. Receive up to date information that you can start using now!